Post your own dedicated giveaway for this event, from October 15, 2014, at 12:01a.m. until October 25, 2014, at 11:59p.m. Blogs without giveaways posted by 10:00 a.m. on October 15th will be removed from the linky list. Signups close on October 13th. 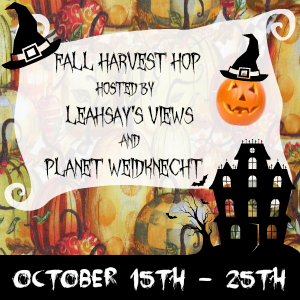 "Fall Harvest" Giveaway Hop Button.